Posted by Torch Staff on January 27, 2016 in Staff Biographies. 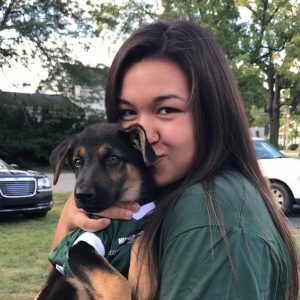 I am a journalism and technical communication sophomore and even though I am from East Lansing (GO GREEN), Big Rapids has grown to feel like home. You could say I eat, sleep and breathe sports, but I also am incredibly extroverted and am always hanging out with friends. I basically live at the Rec center, whether I’m working intramurals or working out, so if I look familiar, that’s probably where you’ve seen me. I have a firm belief that journalism can change the world and I’m excited to be the news editor here at the Torch. Cora’s work can be found here.